This is the fourth in our series of looking back at the Georgia filming locations for The Dukes of Hazzard. It’s a little known fact that only the first five episodes from season one were filmed in Georgia. In fact, most of the filming took place during the winter of 1978 in and around the towns of Covington, Conyers, and Social Circle. After that, filming moved to the Warner Brothers Burbank Studios in Burbank, California and Walt Disney’s Golden Oak Ranch in Newhall, California. 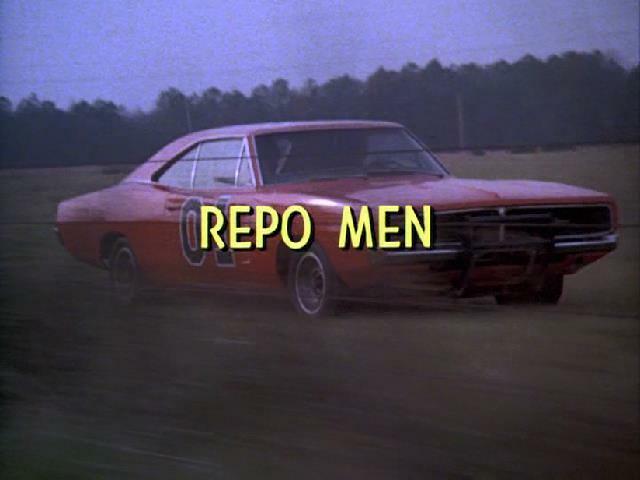 Synopsis: The Duke boys agree to repossess a Rolls-Royce for a local used car dealer in exchange for a souped-up engine for the General Lee. The Duke boys are out testing the General Lee during the opening of the episode. The old dirt road is now paved. What a difference 40 years makes. Aces’s Clean Used Cars was the only used car dealer in Hazzard County. The Rolls-Royce driving off is the one Lulu Hogg, Boss Hogg’s wife, wanted so badly. A church now occupies this location. While checking out an engine in a wrecked car at Ace’s car lot, the Duke boys park the General Lee across the street. The building in the background was torn down in 2006 and replaced with a garage. The house where the counterfeiters stayed looks virtually the same today as it did 40 years ago. Known as Mt. Pleasant, the antebellum home was built around 1812. Sheriff Coltrane drops by the Boars Nest. He’s there to meet Boss Hogg to work out a plan to frame the Duke boys for possessing a “stolen” car. After returning from trying to repossess the Rolls-Royce from the counterfeiters, the boys confront Ace about setting them up. To make it up to the Duke boys, Ace agrees to let them have the racecar for much less than originally agreed. They are seen here driving off with the racecar. Boss Hogg tells the Duke boys he’ll get Ace to drop the charges against them if they can successfully repossess the Rolls-Royce. In the background, you can see the Newton County courthouse and the white buildings with columns is now a BB&T bank. After Luke and Cooter repossess the Rolls-Royce, the counterfeiters give chase. That’s when Bo comes out of hiding in a tow truck outfitted with a “claw” on both sides. He pulls up next to the counterfeiter’s car and proceeds to tear it apart piece by piece. Jerry Rushing, who portrayed used car dealer Ace Parker, is credited as being the inspiration for The Dukes of Hazzard. Rushing was a bootlegger from North Carolina, whose tales as a moonshiner helped Gy Waldron create the movie “Moonrunners”. Three years later, “Moonrunners” served as motivation for Waldron to create The Dukes of Hazzard. Rushing died in 2017. Claude Humphrey, who played the part of Big John, was a defensive end for the Atlanta Falcons and the Philadelphia Eagles. He earned first-team all-pro five times, was selected to six pro bowls, and racked up 122 career quarterback sacks.